This tree was worked on by Harry Harrington late 2014. Please click this link to see the blog. Spring 2016. 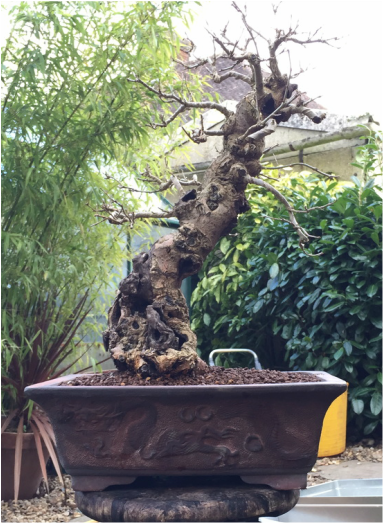 Re-potted into a carved 'dragon' pot by Zenigo.